[Deadpool will be] "a total reboot. We're either going to pretend that didn't happen, or mock it, which he could do." "We're looking for a director, yes"
"He’s very involved, Ryan. He’s working with the writers on the screenplay and it is as much as it is ours." "I'm tellin' ya, it's true to the comic ... You’ll see all of them. 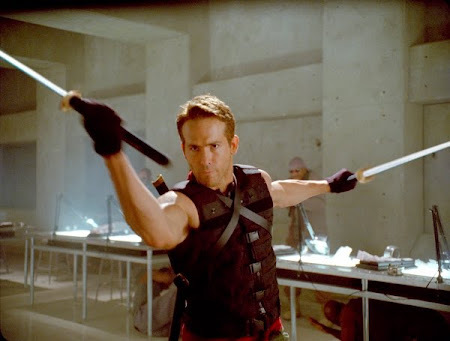 You’ll see Wade Wilson, the good-looking Ryan Reynolds! You’ll see Deadpool in his costume and you’ll see the cancer-scarred face."